confession time: I am a Simplifier and I have anxiety. You might think I’m in the wrong job but weirdly it never shows up in high pressure situations like during client events. For me, anxiety usually shows up when I have non-crucial things to do, which makes getting started on some tasks ridiculously difficult. I start procrastinating and the fear and panic that usually gives me a burst of adrenaline to help me meet targets end up paralyzing me instead. It stinks. 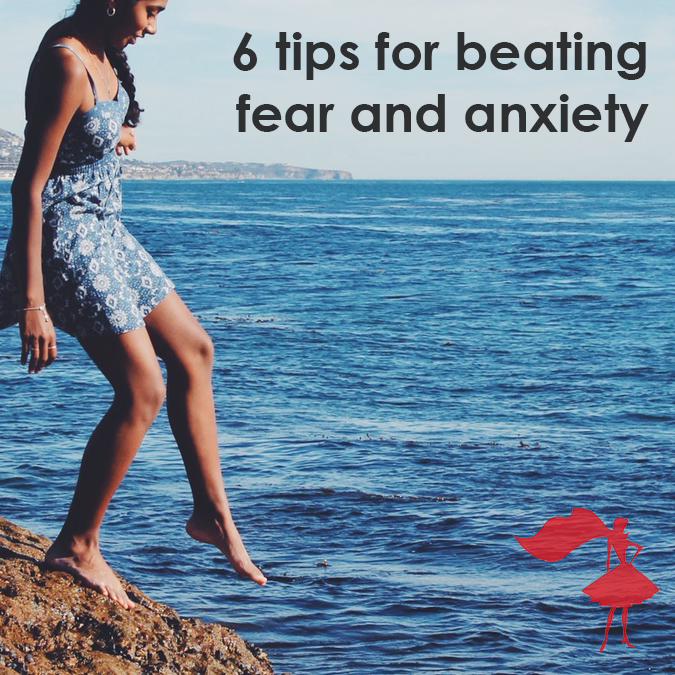 So, when this happens, here are my tried and tested tips that work for me when I need to overcome fear and anxiety to get stuff done. Talk it out. This can be a paid therapist or a friend who’s a good, impartial listener. You just need someone who can help you get out of your head and make sense of your thoughts. Once you can think clearly and start to understand why you’re reacting the way you are, you can start intervening in the negative thought processes that lead to fear and anxiety getting the better of you. Brain dump it all with a trusted friend or colleague, you’ll feel much, much better afterwards. If I find myself avoiding a task, I start with something quick and easy on my to-do list like writing a thank you card to a vendor or sending a 2-3 sentence email. I can then tick that task off of my list and it gives me the motivation I need to start the next thing. Bonus tip: Try this checklist trick to put you in a positive mindset and get things done. Many of us don’t really breathe from our bellies anymore – extra tight skinny jeans don’t help. (can I get an AMEN?) Deep breaths calm and ground you so practice by taking a minute to pay attention to how you’re breathing right now. Yes, right now. Stop, pause, count to 4 and breathe in thru your nose and slowly out thru your mouth for 8. Rinse, repeat 5 times. Feel better? When we’re stressed out we tend to take fast, shallow breaths which send signals to the brain that we’re stressed out…bad news bears. This simple 30 second solution changes everything. Are you a perfectionist? I didn’t think I was until I realized that one of the reasons I was so afraid of starting certain tasks was because I was afraid I would find them hard and not be able to complete them to my high standards. I also do that thing where everything around me has to be tidy and ‘perfect’ before I can make a start. Do we really need to organize our pens or our desk before we send that important email? NO. Just let go and make a start. Find a positive phrase that means something to you and helps you get over the fear that’s holding you back. Keep it written down somewhere on your desk where it’s easy to see. Whenever you feel like anxiety is getting to you, take a deep breath and read it. Mine says “I don’t wait for things to happen to me, I get things started.” This helps me take back control when anxiety is making me procrastinate. Sometimes we just need people to tell us how great we are and point out our skills and attributes. It puts you in a positive mindset and reminds us that we are capable of doing great things. It might just be the little boost you need to get you over the fear that’s been holding you back. Don’t forget to be a cheerleader for other people, too!